SANTIAGO, CHILE — Mention electric vehicles and copper industry executives’ eyes dazzle like the headlights on a Tesla. As electric motors and lithium batteries replace combustion engines, cars, buses and trucks are all going to contain a lot more copper. This is good news for attendees at CESCO Week, the copper industry’s annual get together in Santiago. For them, coal mining is consigned to the trash heap — their kind of mining will save humanity. Forget global warming, the real issue is clean air, said Robert Friedland, Ivanhoe Mines’ (TSX: IVN; US-OTC: IVPAF) evangelical executive co-chairman, who sweated in his suite rather than breathe in the Chilean capital’s toxic fumes. The revolution is coming, but slowly. Smoggy Santiago now has 200 Chinese-built electric buses on its roads, but it is expected to take years to replace the other 5,000. The volume of copper required is huge. By 2025, electric vehicles and associated infrastructure are expected to require another 2.5 million tonnes annually of copper by the end of the next decade, rising to 5 million tonnes by 2035. The need is even greater given the decrepit state of many copper mines. Output from existing mines is estimated to fall over 25% to 15 million tonnes by 2030. Some have projects lined up to keep them in production for decades to come, such as Rio Tinto(NYSE: RIO; LON: RIO), which plans to begin underground mining at Bingham Canyon in Utah, or Codelco’s project to develop sulphide resources underneath its Radomiro Tomic pit in Chile. 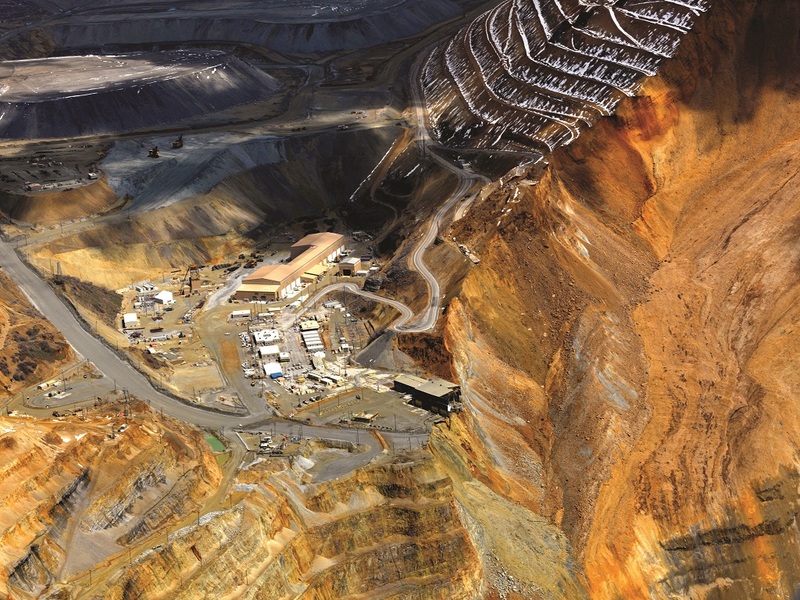 Rio Tinto’s Bingham Canyon copper mine in Utah. Credit: Rio Tinto. But for others, like Glencore’s (LON: GLEN) Mt Isa mine in northeast Australia, their time is finally up. So the industry remains heavily dependent on mines coming into production to meet burgeoning demand. While these projects exist, there is considerable uncertainty about how long it will take to develop them. Many are still at an early stage of development or face serious environmental and engineering challenges. The proposed Pebble copper-gold mine in Alaska has been in permitting for over a decade and is the subject of intense opposition by environmental groups. Others are located in unstable jurisdictions, such as the African Copperbelt, or Afghanistan. “There are not enough projects to be confident that demand will be met,” CRU analyst Hamish Sampson noted. Even projects that are in development are facing significant challenges. Construction of the underground mine at Rio Tinto’s Oyu Tolgoi in Mongolia has been delayed after engineers ran into unexpected rock conditions, the mining giant’s chief executive of copper and diamonds, Arnaud Soirat, explained. Construction of PanAust’s US$7-billion Frieda River project in Papua New Guinea has been delayed by an estimated three years. Investors have also become more reluctant to back ambitious projects after so many lost their shirts in the commodity slump. Chile’s government-owned Codelco, the world’s largest copper producer, wants to invest US$24 billion over the next five years to keep its aging mines in business. Production from a new underground operating at its flagship Chuquicamata mine is due to begin next month. But the timing of other Codelco projects, including the Radomiro Tomic extension and an expansion of Andina, could depend on government largesse.